My name is TOMMY and believe it or not, my foster mom says I am a Chippet. She thinks I am a Chippet because she says I have a lean body, long legs and the personality of a Whippet but my face looks like a Chihuahua. I think I am more like a short Whippet because I am quiet and docile and I am quite content to curl up on the couch all day. But when I get out in the yard, I come alive and have lots of energy and I can run really fast. I am a little shy and it takes me some time to familiarize with a stranger but, once acquainted, I will be my usual friendly and social self. I have a very sensitive nature so I would be unhappy in a large family with lots of children as chaos makes me anxious. My foster mom says I would be a perfect dog for a single person or empty nesters because I am not rowdy and rambunctious like some other dogs. Because I have a very thin coat and not much body fat, I like to find a warm spot in the house and will settle in as long as it is close enough to you. I don't mind being out in the cold as long as I am moving or running, but it would certainly be cruel to leave me outside for extended periods of time in cold weather. 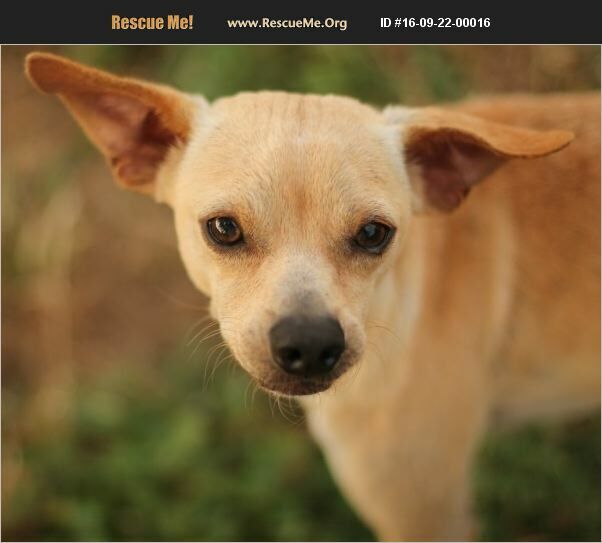 TOMMY is available for adoption with Saving Grace Dog Rescue of San Antonio. The adoption fee is $150.00. An adoption application, home visit and adoption contract are all required. All dogs are spayed/neutered, up to date on vaccinations appropriate for their age, microchipped, and wormed for internal and external parasites. If you would like more information or an adoption application, please email us at sgdrsa@outlook.com. Please note that visual breed identification in rescue dogs is unreliable so for most of our dogs we are only GUESSING at predominant breed or breed mix. We get to know each dog as an individual and will do our best to describe each of our dogs based on personality, not by breed label.